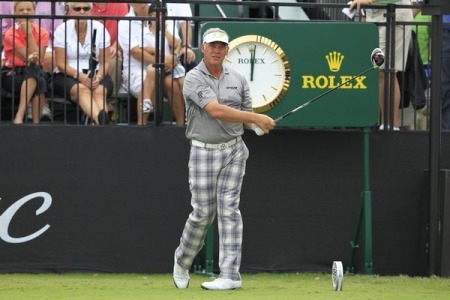 Open champion Darren Clarke is not enjoying his return to Augusta National. Photo Eoin Clarke/www.golffile.ieDarren Clarke took less than a minute to express his bitter disappointment with his opening 73 at Augusta National. In truth, he played well but sounded like a man who can’t wait to pack his bags tonight. “Same old, same old. Played better than I scored,” he sighed after making just one birdie, a tap in from a foot at the 13th. “I had 33 putts today, kept giving myself chances but didn’t make anything. Clarke started with five pars, bogeyed the fifth and sixth and then strung together another five pars before making his only birdie of the day at the par-five 13th. He then finished with four straight pars, holing his longest putt of the day at the last from four feet to save par after a rare poor drive. Clarke’s pain was obvious afterwards but he made a Freudian slip when asked about his groin injury and hinted that he has little hope of making the cut. “I didn’t miss that many greens today but when you give yourself that many chances inside 10 feet you’ve got to take them. It was a frustrating day on the green - as per usual. Gloomy Darren Clarke headed straight for the putting green after a dour 72 dampened his Open spirits. Darren Clarke admits he may have to “eat painkillers” to stay the distance at Augusta after picking up a groin strain in Houston. Photo Eoin Clarke/www.golffile.ieDarren Clarke insists he will “eat painkillers” to make sure he makes it to the tee for his eleventh Masters appearance this week. 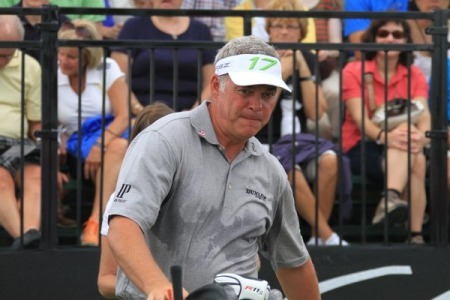 Darren Clarke. Photo Eoin Clarke/www.golffile.ieDarren Clarke confessed that he’s struggling to go the distance as he battles a niggling groin injury at Augusta National. The Open champion, 43, walked in after playing the back nine in practice and then decided not to take part in the annual Par-Three contest. 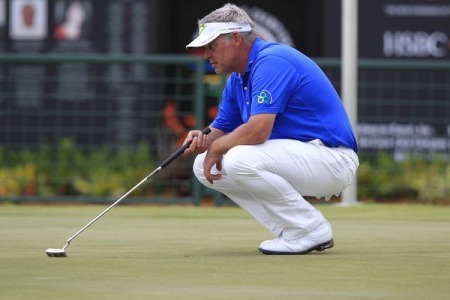 Darren Clarke finally found his putting touch at Augusta National but it took a trademark missile from the fairway to make the cut last night. Darren Clarke didn't need to shoot a final round 76 in the Masters to know that there’s very fine line between success and failure at Augusta National.